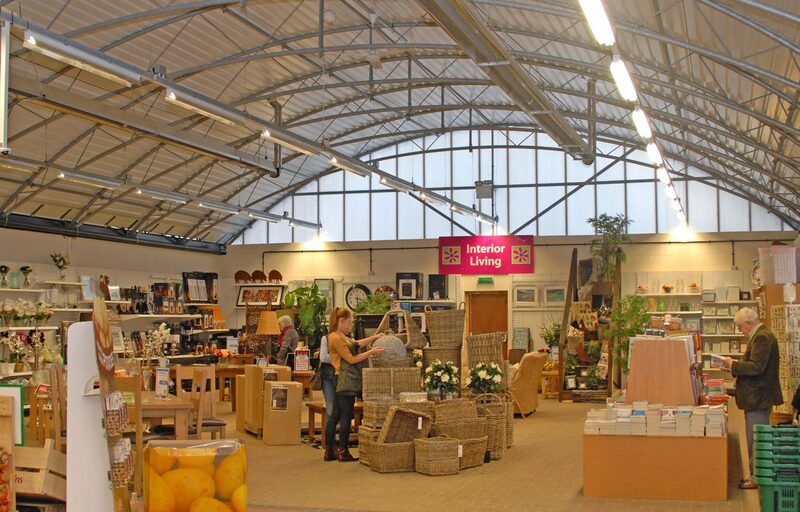 Fordingbridge and St Peter’s Garden Centre have held a long standing relationship dating back 15 years. 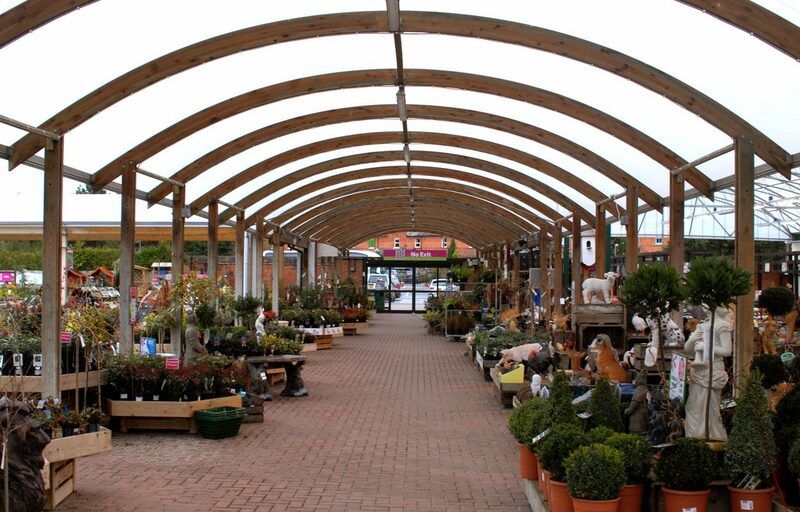 Our latest work at the garden centre saw us breathe life into one of our original tapered trellis canopies through our new canopy conversion project. 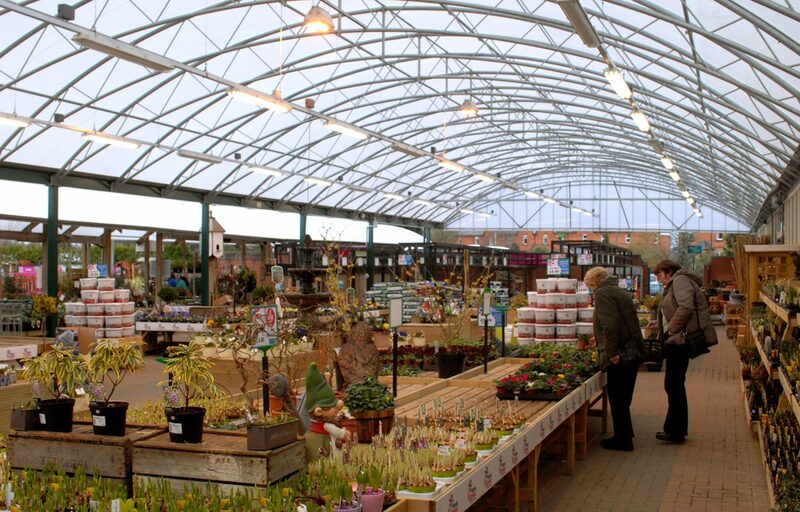 One span of the canopy, built in our typical steel frame and fabric roof construction, was converted into a bright modern retail space thanks to a new insulated roof. 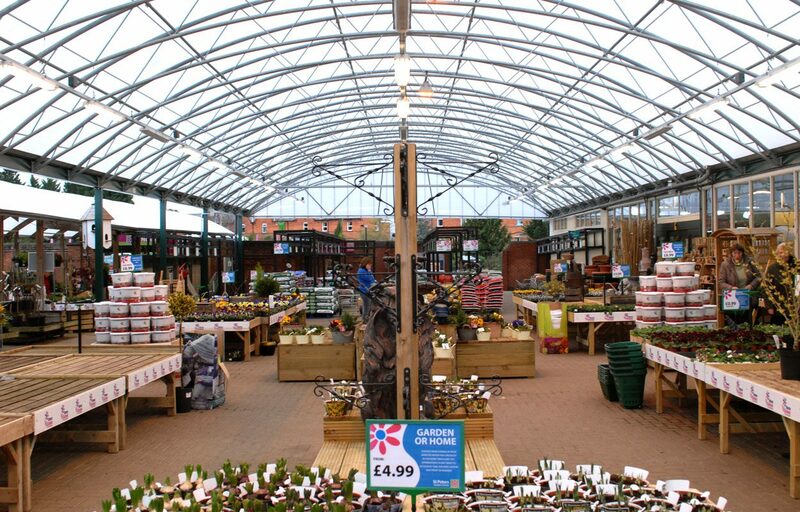 Fordingbridge were able to provide a fully project managed design and build package to help the garden centre achieve their vision, also realising the importance of efficient construction time to avoid minimal disruption to the site. The project was completed in less than two weeks. Frame: Hot-dip galvanised trellis for minimum maintenance. The posts have been powder coated to match existing buildings. Colour: Metallic grey. Structures can also be polyester powder coated.